Customizing your WordPress blog lets you showcase your own personal flair and style. A few simple tweaks can set your blog apart from the default look that exists on so many WordPress blogs. 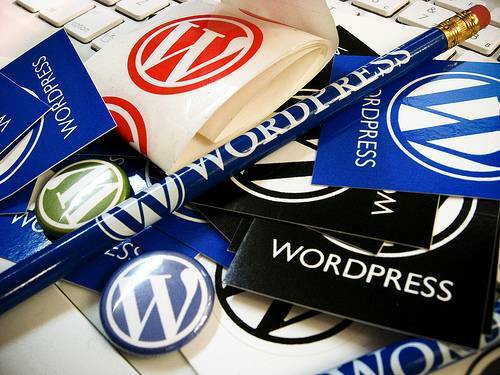 This guide offers eight ways you can use to customize your WordPress blog. Every good blog has its own page dedicated to the author, but most of these profiles are boring and bland. Go beyond the standard biography by telling your readers more about any interesting hobbies you enjoy or unique facts about your past. Your profile page is a great way to introduce yourself to your new readers. When someone tries to access a broken link on your site, by default they see an ugly error page. You can dress this page up and use it as an opportunity to display useful information to your visitors. If your visitor has no easy way to return to your content, they may quickly leave your site for another one. Most blogs feature a standard comment form on each blog post, allowing for visitor feedback. You can customize your comment form by using the threaded comments option in WordPress. This helps your visitors keep up with the post’s conversation easily and encourages even more discussion among your viewers. WordPress offers a collection of versatile plugins that can add minor cosmetic changes or greatly enhance the features of your website. 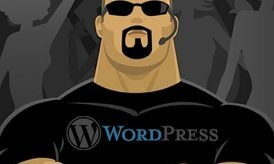 The default WordPress plugins don’t do much for your website, but you can use them to learn more about how plugins work. Some of the most popular plugins include ways to prevent spam comments, improve your search engine visibility, and analyze your site’s statistics. If you’re active on social media networks, you should integrate your networks with your blog. You can get more followers on those networks by including links to your favorite social media sites on your blog. This sets your blog apart from the default WordPress blog by providing another way for your visitors to connect with you. 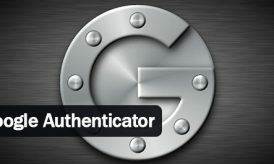 You can put these links in obvious places on your site, including your profile page. By default, WordPress installations come with a standard icon that will display by your name when you leave a comment. You can start creating your own online brand by simply changing this icon to a unique picture. If you don’t feel comfortable using your own picture, use a picture of something that has a special meaning to you. For example, if you really love aquariums, use a picture of a fish. Keep this icon constant through all of your other online avenues, including social networks. By default, most blogs include footers that do not feature anything noteworthy. You should strive to make use of this empty real estate on you blog. You can try including a number of different elements in the footer, including links to social networks or favorite posts from your archives. If you don’t offer an archive of posts for your visitors, they won’t get a chance to read more about you and your opinions. You can create your own archive page that features posts by date and category. If you frequently rely on tags to organize your content, create a tag cloud so your visitors can see what topics you focus on. Thats the beauty of wordpress, the customization process for everything. I’m shocked when I go to a really cool designed site and then I find out it’s a word press site. Great post!